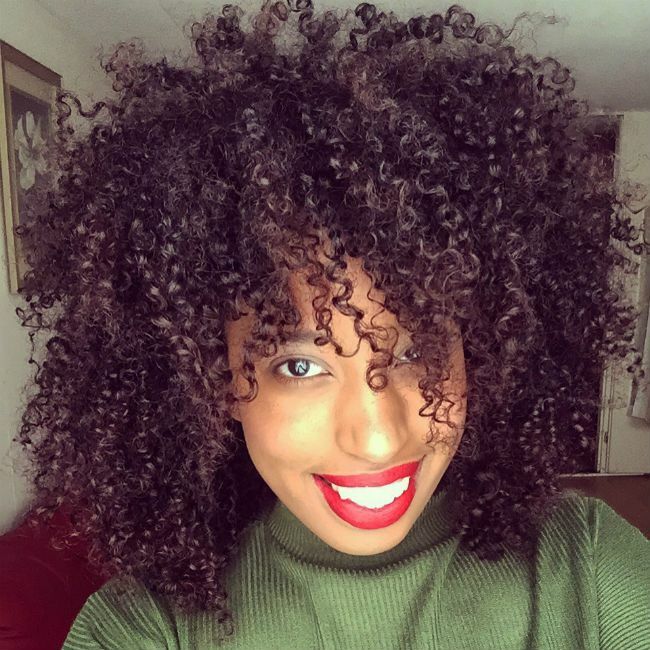 Believe me or not, it actually took four years to find a washday routine to accentuate the beauty of my curls! It wasn't until October 2015 that my friend shared her Holy Grail with me after hearing me complaining again: do not apply oil during your styling process. LCO or LOC is recommended by many of my favorite websites and bloggers, but when I was following it, the results of my washday didn't last as long as I thought they would. My frizz was all over the place. The solution to my beautiful struggle was replacing the oil by a jelly. The first step is removing the build-up I have constructed during the last few days or even weeks. In general we usually prevent washing our curly hair with a shampoo because it strips the hair, so some decide to shampoo twice a month. Lately, I have been using the Argan Oil of Morocco Shampoo by Organix--whenever I finish the bottle I will switch to one of the shampoos of SheaMoisture. The second step is to apply a good conditioner on your hair, which will facilitate the detangling process. Currently, I am using the Argan Oil of Morocco conditioner by Organix. Nevertheless, when I run out of the product I will switch to a silicone-free product. However, I feel that my hair is sensitive to both sulfates and silicones. I also apply some oil to my hair. I do this twice a month and I have noticed that it makes detangling much easier. I prefer using almond oil or coconut oil during this process, because they are light. I have dyed my hair and noticed that my hair needs much more protein to recover from the chemicals. Thus, I deep condition my hair twice a month with Keratin 2-Minute Reconstructor by Aphogee. After rinsing the product out I notice that my hair has much more definition, which for me reflects health. First, I apply a leave-in conditioner followed by a cream and I seal my hair with a jelly. When applying this cocktail, I finger detangle my hair to make sure that my the product reaches all strands. I also follow the prayer hands method in order to achieve defined curls. I prevent using the diffuser, since it results in a lot of frizz. It takes approximately eight to nine hours for my hair to dry completely. In the evening, I stick my hair up in a pineapple bun and wrap a satin scarf around my hair.